All our different activities at a glance. 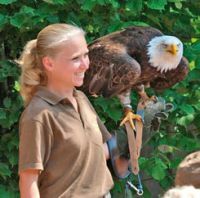 The map of the park tells you all about the birds and another animals living here, the shows we put on, the snack bar, the barbecue areas, the children's playgrounds as well as giving you other important information. 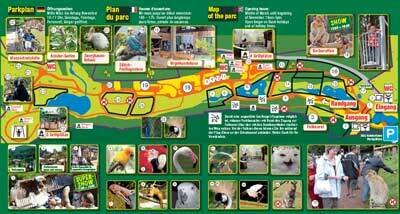 The map can be obtained free of charge at the ticket office situated at the entrance to the park.